This is a self-contained top half of a detached stone-built house on the sea front with an internal staircase leading you to the first floor. There is parking for one car and direct access to the beach. Stunning views across the Firth of Forth from the bay window in the sitting room. 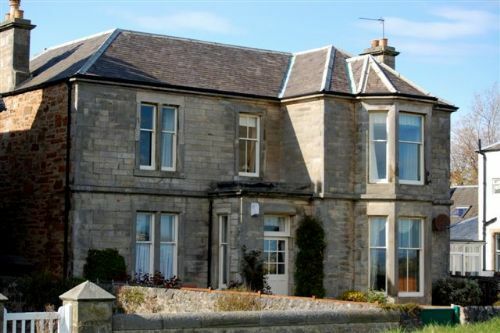 Rocklands, 8 Elie High Street, Earlsferry, Elie, KY9 1AF.